On January 11, 2019, the Stevens brothers, owners of the D Hotel and Golden Gate Hotel in Las Vegas, announced the name of their new casino and hotel on Fremont Street. The name: Circa. It may take some getting used to, but it will surely grow on you. It sounds festive and slightly chic. Circa is the biggest project so far of the very successful Stevens brothers (Derek and Greg), who were born in Belgium and grew up in Detroit (hence the name D Hotel). 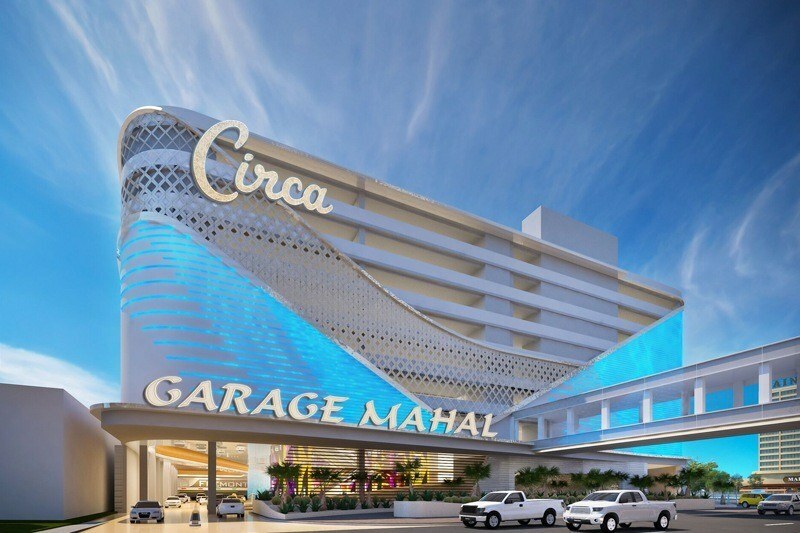 The plan is to open this brand new hotel and casino complex by the end of 2020. It will be built on the corner of Fremont and Main Street, diagonally across from the Plaza Hotel. The sad and deteriorated Las Vegas Club Casino was completely neglected and in the end looked more like a deserted cemetery than a vibrant casino. 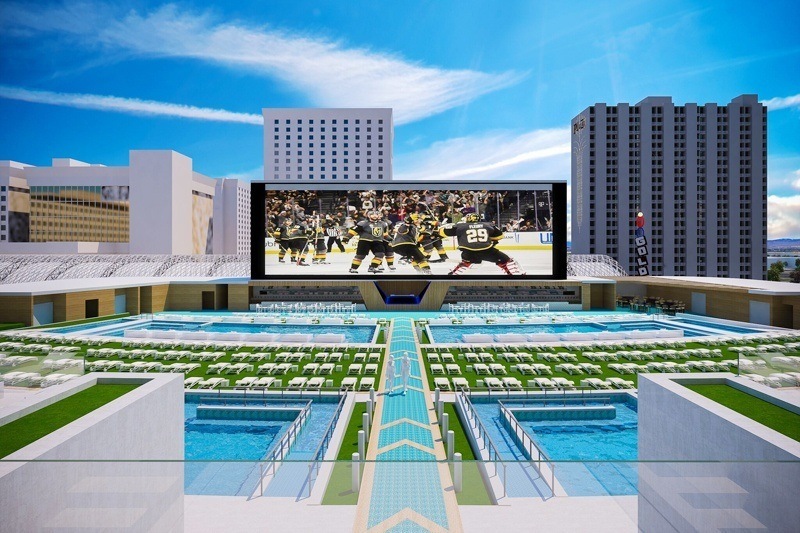 Also, the adjacent businesses, the small party casino Mermaids and the Stripclub Glitter Gulch did not really contribute to the appeal of Downtown Las Vegas. When it became clear that Las Vegas Club was for sale, the Stevens brothers seized the opportunity. They bought the hotel and its grounds at a bargain price. It was not the Las Vegas Club casino that the Stevens brothers were interested in, but the location. The Las Vegas Club was immediately closed and a major renovation was briefly considered. Soon, however, these plans changed, also Mermaids and Glitter Gulch were bought. This created the freedom for the brothers to first demolish the existing buildings to ground level, and then build a completely new hotel from the ground up. Downtown Vegas is becoming increasingly popular among visitors to Sin City. The atmosphere is much friendlier than on the Strip, the alcohol is cheaper and there is often free music and entertainment. One problem, however, is that the Downtown hotels, despite all their history and charm, are clearly less luxurious and lavish hotels on the Las Vegas Strip. Another problem: Downtown there are no decent swimming pools to be found, except for maybe the pools in the Golden Nugget and the Downtown Grand Hotel. For the young and rich hipsters from California, a good pool scene has become a basic necessity. Without an excellent pool, these customers will stay elsewhere. Circa will solve both problems. It will be a modern, beautiful hotel with all modern conveniences, while still providing the value for money, that Downtown hotels are known for. The most beautiful swimming pool in Vegas? 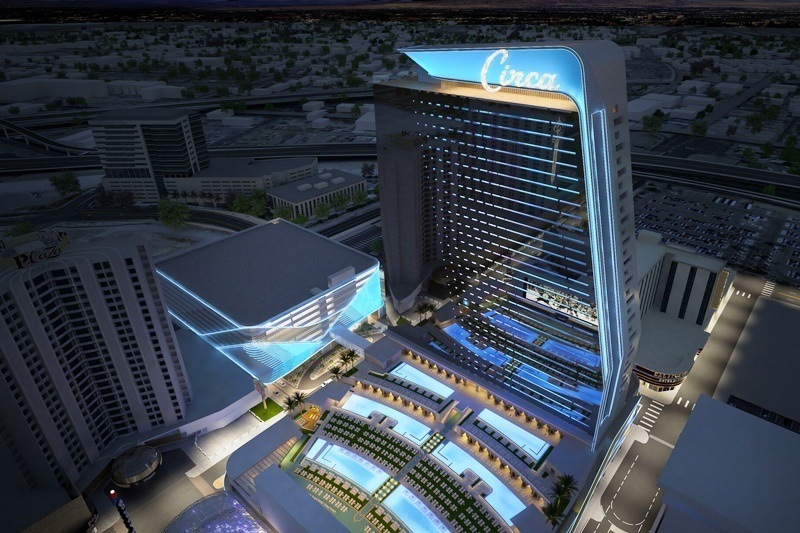 The pool of Circa will be so beautiful and awe-inspiring that it can easily compete with any hotel on the Strip. From their mini pools or private cabanas, visitors can marvel at the mega-screens at the back of the spacious pool. There is even a name for this phenomenon: a multi-tiered pool amphitheatre. Of course, a DJ will be present and there are plenty of bars and eateries. Whether there will be a Swim Up blackjack, remains to be seen. 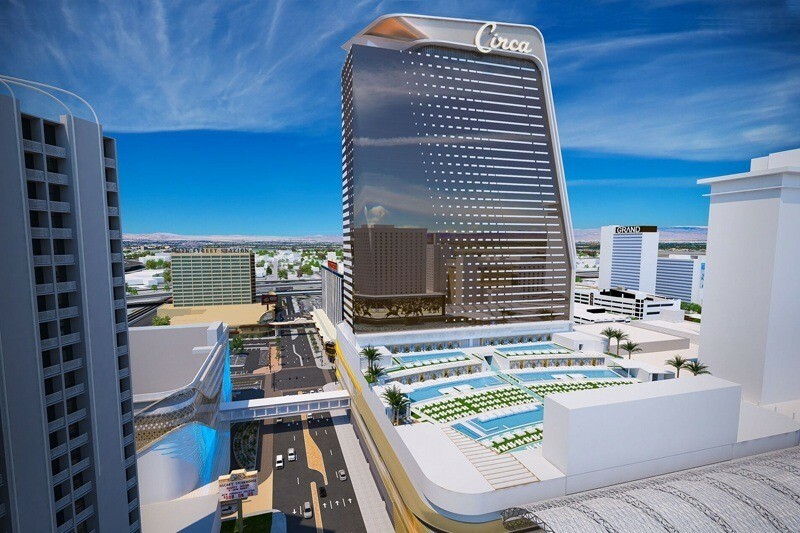 A total of 777 rooms and suites are planned at the Circa Hotel, in the tallest hotel building in Downtown Vegas. There will also be several world-class restaurants, and the outdoor bar will be Vegas’ longest bar. The casino will look beautiful: modern, light and spacious, with high ceilings. If you didn’t know any better, you would imagine being in the Aria Hotel or the Cosmopolitan Hotel. All your favourite casino games can be found at Circa Casino. 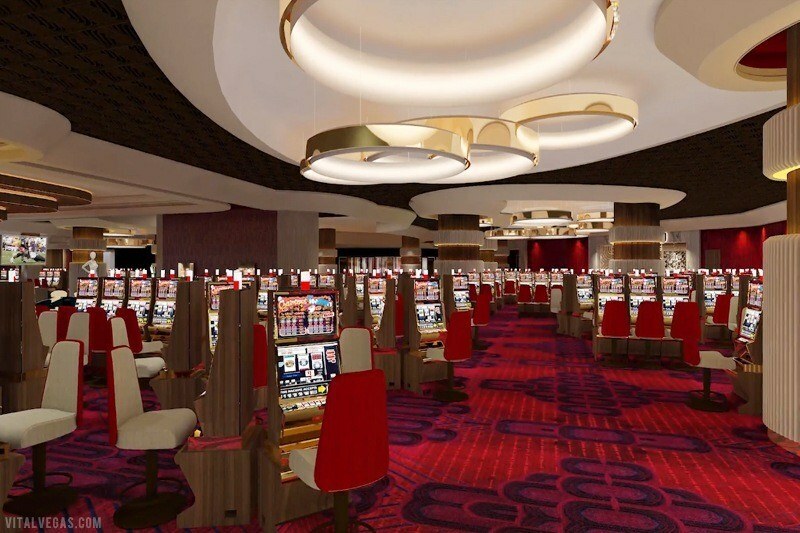 In addition to hundreds of the latest video and mechanical slots, Circa’s casino will accommodate dozens of table games. You will be able to play your favourite roulette strategy, blackjack and baccarat, as well as the wonderful dice game Craps. Co-owner Derek Stevens is an avid sports bettor (each year he places at least one sports bet with a possible payout of $1 million at one of his competing casinos). This bet with a potentially massive payout is then extensively shared through all social media channels, generating lots of extra publicity for his casinos. As a sports lover and well-seasoned sports bettor he aspires to turn the sports book of Circa into the absolute pinnacle of sports betting in Las Vegas. 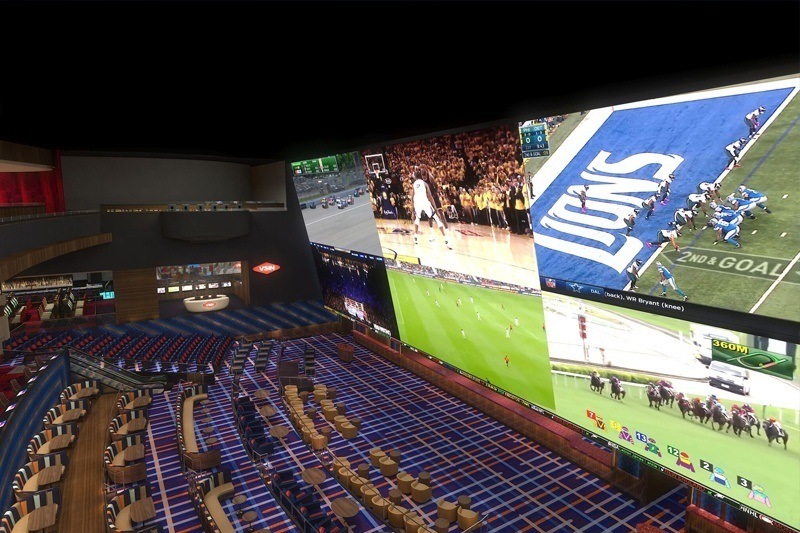 On 6 mega-screens, Circa’s customers can follow all possible sports, ranging from football, basketball to horse racing and even soccer. Of course, one can closely follow the performances of the local ice hockey team, the Golden Vegas Knights. The chairs and booths are set up in a sloping cinema setup, so no one has to miss out on anything although that already seems quite impossible with the gigantic screens. 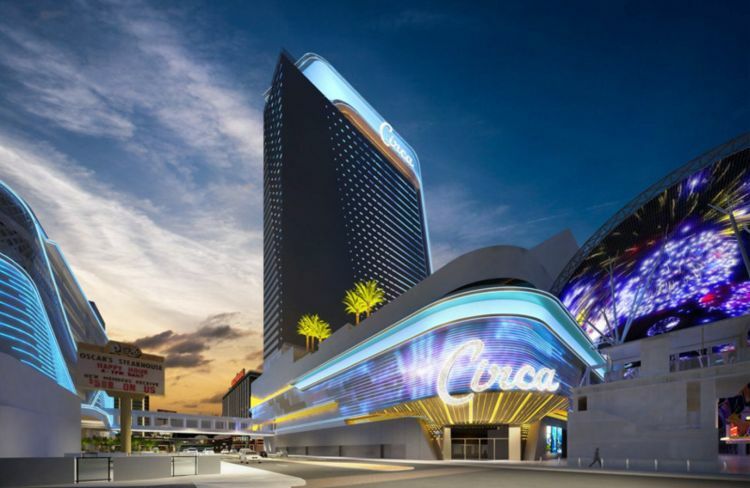 Circa will blow away the competition in Downtown Las Vegas, and even the most spoiled Strip-visitor has good reasons to visit Downtown Las Vegas.